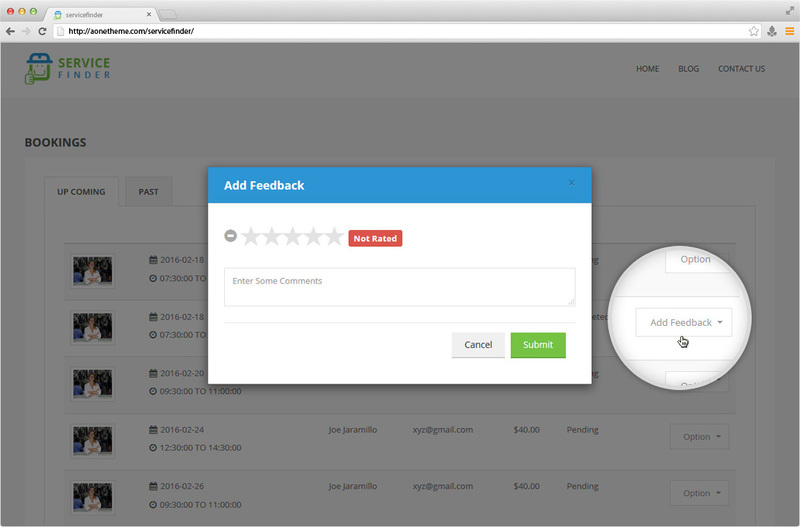 Service Finder WordPress Theme gives customer an option to submit their feedback for each booking completed. If there is any staff member assigned to booking then rating will be added to that staff member. Providers rating will be calculated as average of overall bookings rating. Staff member rating will be calculated as average of overall bookings assigned.